When prototyping circuits on a breadboard it is nice to be able to keep things as modular as possible. Breadboarding a new power supply every time you put together a circuit can take up valuable time. Adafruit’s Adjustable Breadboard Power Supply Kit promises a high quality power supply to help make your circuit prototyping a little more efficient. Let’s check it out. 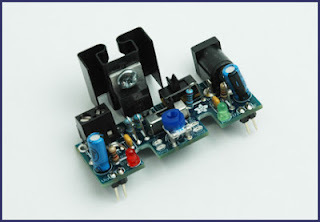 While there are many electronics kits that have practical uses, there are tons that can only be described as fun or educational. This kit fills a very practical need. Not everyone has a bench top or lab power supply with which they can dial up the power required for their prototype circuits. Unlike a bench top power supply, this little board can be highly mobile and travel friendly when combined with a decent AC power adapter or battery pack. The combination of portability and the convenience of not having to build up a power circuit every time make this a very compelling kit. 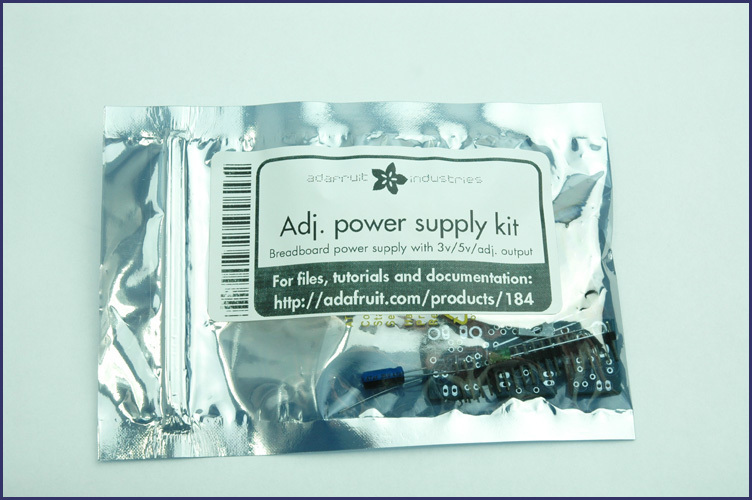 Much like many kits from Adafruit and other manufactures the Adjustable Breadboard Power Supply Kit comes in an anti-static bag with a label affixed to the side. The kit comes with everything you’ll need to make the kit except solder, tools, and a breadboard. The kit goes together easily and took me about 35-40 minutes. The assembly instructions are clear, complete, and easy to follow. Adafruit typically does a very good job on their documentation and these build instructions are no exception. 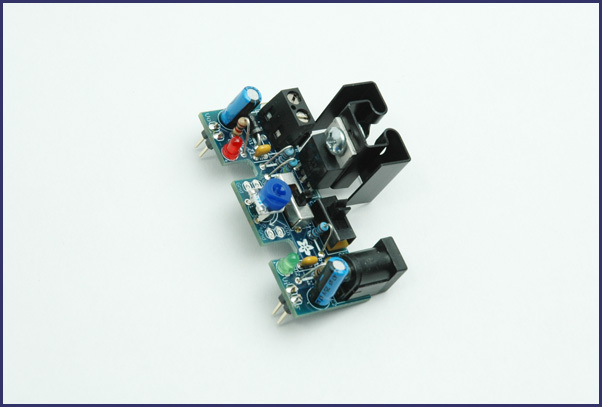 The inclusion of steps to stop and test the circuit as the build progresses are a great way to catch problems while it is still relatively simple and easy to troubleshoot. 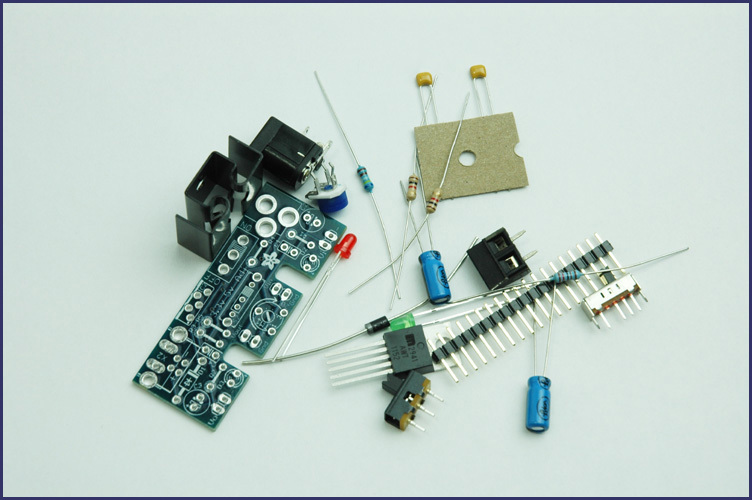 The Adjustable Breadboard Power Supply Kit is a fun and easy to build kit for beginners on up. This kit not only has real practical value, it’s fun and easy to put together. I can see where some people would have very little use for this kit and they know it right off, while others might find it a must have item. I think it’s a great kit and a great addition to my breadboard toolbox. If you are in need of a portable power supply for your breadboard projects that draw under an amp and a quarter, I'm not sure you can go wrong with the Adafruit Adjustable Breadboard Power Supply Kit. Instead of clipping the heat sink on the voltage regulator as intended, I used a #6-32 machine screw and nut.